Technology is not just limited to one thing; it is multidimensional and quite diverse. It has given solutions to businesspersons, medical researchers and now it has done a great deal of help in dress designing. Dress designing is an art which can raise the designer to the heights of eminence if the designer gets appreciation from the people. so, dress designing is not only important for delivering fashionable dress designs to public but the success of these designs matter a lot in determining the fate of the dress designer. There are different software and apps to make and market the design among masses. 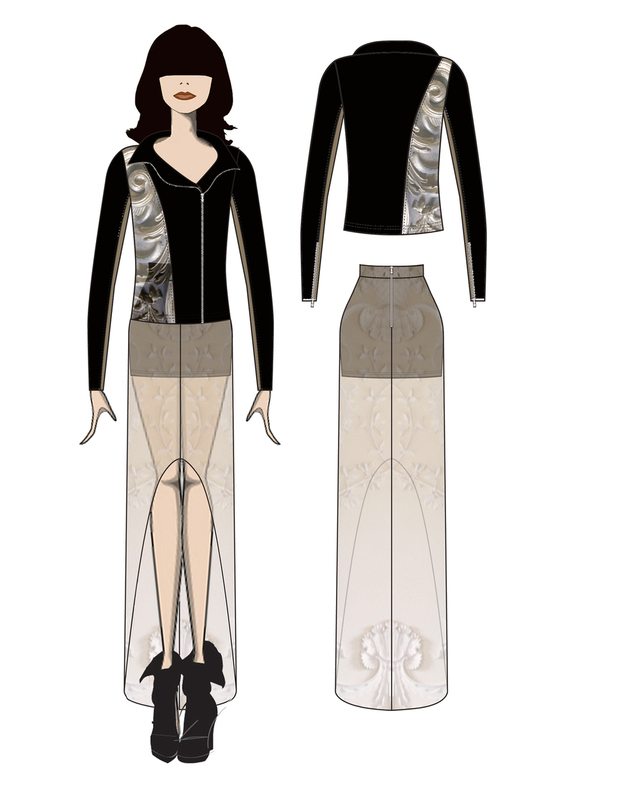 Some of the ways technology can be used in dress designing are discussed in this article. Now designers don’t have to work hard on creating their boards and inspiring people. they have new options available which are equally important among people as well because they are obsessed with new looks and apparels. Apparel Magic is not only an app to dress designers but a source to earn money in an efficient manner. This app increases the productivity of designer clothes. This app is used to create the dress design digitally and then the designer is able to store and manage the design according. Later on, this design is processed and is also sold through this app. So, this single app is not only creating the design manually but these designs are actively sold online as well. This app has helped many designers to earn as much as they can and enhanced the productivity of their businesses. This technology helps designers in creating their designs on computer. It saves designers to spend more time and money on creating design by hand. This is a tedious and lengthy task but now CAD has effectively resolved this issue of designers. They draw different designs for different fabrics using this technology. This technology is rising quickly and is quite popular among dress designers. 3D printing enables designers to create innovative designs with the help of this technique. It helps in creating your dream designs. LED Dresses are a new trend in dress designing. These dresses are shiny and make the apparel more bright and prominent. This idea is new yet won the hearts of people. Fashion conscious people are looking forward for more LED dresses for different occasions. Technology has done a great deal of help in spreading the fashionable dress design from one place to another place of the world. This has benefitted the dress designers of other parts of the world to create latest designs by modifying the dress designs in more innovative ways. Technology has broken down all the barriers in promotion of dress designing. These are some of the advancements in dress designing with the use of technology. Thus, the role of technology in dress designing is admirable and is quickly acceptable by the people as well. Designers from all over the world are involved in sharing and selling dress designs with the help of technology. Technology has proved a boon to fashion industry by revolutionizing it and giving it a new look altogether. Author Bio: The writer of this guest post is Melody Wilson, a Dress Designer and always looking for new designs and ideas. Currently, she’s working on Negan Jacket to give it more innovative and inspirational look. She can be truly said as a workaholic because she is always working on new designs.